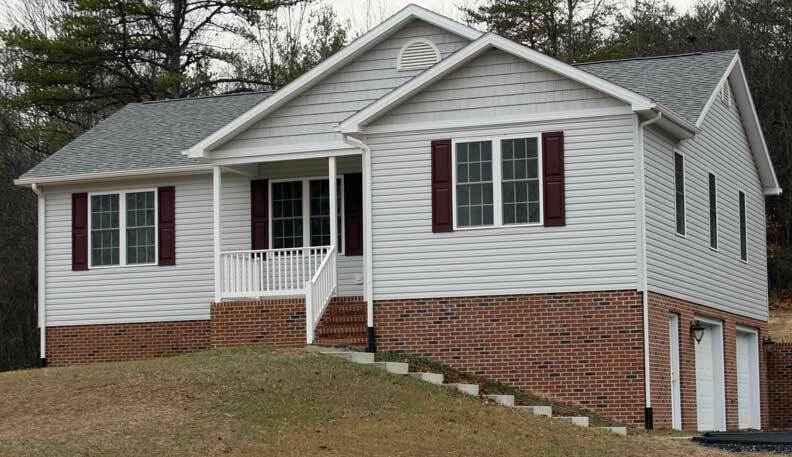 The Churchville A charming 1227 square feet rancher that offers 3 bedrooms and 2 full baths. The master suite is away from the other 2 bedrooms and has its own private bath and walk in closet. You can enter from the garage into the laundry room and on into the kitchen. The Churchville also has a large front porch and a deck in the rear to relax on the warm summer evenings. The Fisherville is a 4 bedroom 2 bath +/- 1996 square feet. The Fisherville has a large family room for entertaining guest while watching the beautiful propane gas log fireplace. The master suite has it own walk in closet and bath. The bath can have an optional whirlpool tub to replace the regular and has a shower stall. The Kitchen is open to the family room or can be closed off. The Fisherville also has a formal dining room. You can enter the home from the garage from into the laundry room and on into the kitchen. The is an optional basement that is as draw +/- 1300 - 1996 square feet depending on how the lot it is being built on. 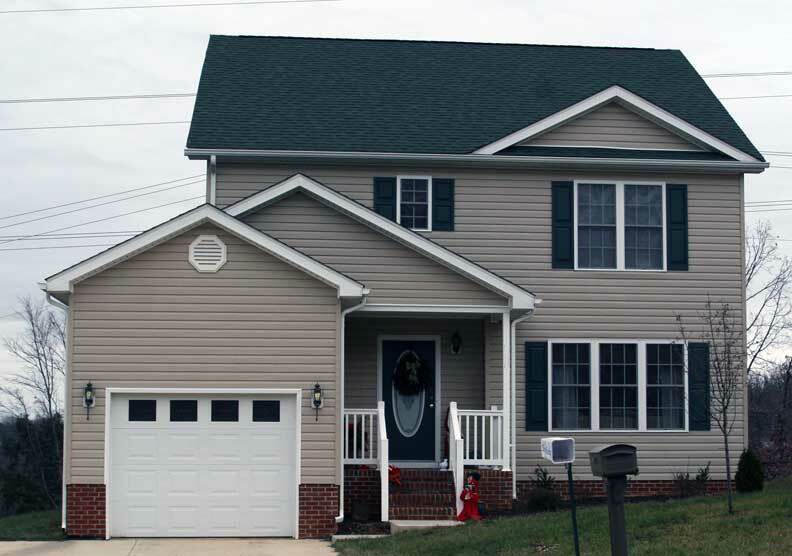 The Greenville A 2 story home with 1363 square feet on the main floor and another 820 square feet of unfinished space in the basement plus a 2 car garage. There are 3 bedrooms and 2 full baths on the main floor. This home has the kitchen and living rooms in the center of the home and the master suite is on one side and the other 2 bedrooms on the other side of the home. The garage is on the side of the home so as not to be visible from the road. There can be a third bath put in the basement. The Middlebrook is +/- 1942 square foot two story with 3 bedrooms and 2 full baths upstairs and a half bath downstairs. The Middlebrook living room is separated from the dining room by a propane gas log fireplace. The kitchen is separated from the dining room by a breakfast bar and there is a door that takes you out on the deck. The stair way is split with a landing half way up with storage space under the stairway. The master suite has one walk-in closet and another closet. The master suite and hall bath both have linen closet. The Middlebrook has a one car garage that you can then enter the home through the laundry room into the kitchen. The New Hope a charming ranch style home offering +/- 1613 square feet of living space. The New Hope has three bedrooms and two full baths. It 9 foot ceiling throughout the house gives each room that spacious feeling. The large mud room that you enter from the garage and the kitchen also has the laundry area. The New Hope has two arches that separates the living room and dining room and the foyer. The extra large windows allow a lot of light into the interior of each room. The New Hope has a propane gas log fireplace in the living room. 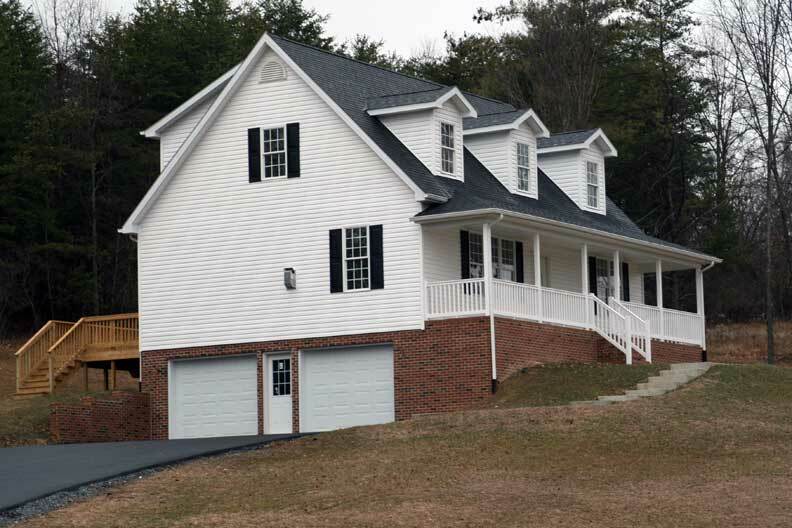 The Staunton Home is a 2 story designed to fit on narrow lots with a garage. The home is +/- 1440 square feet with +/- 720 square feet on each floor. 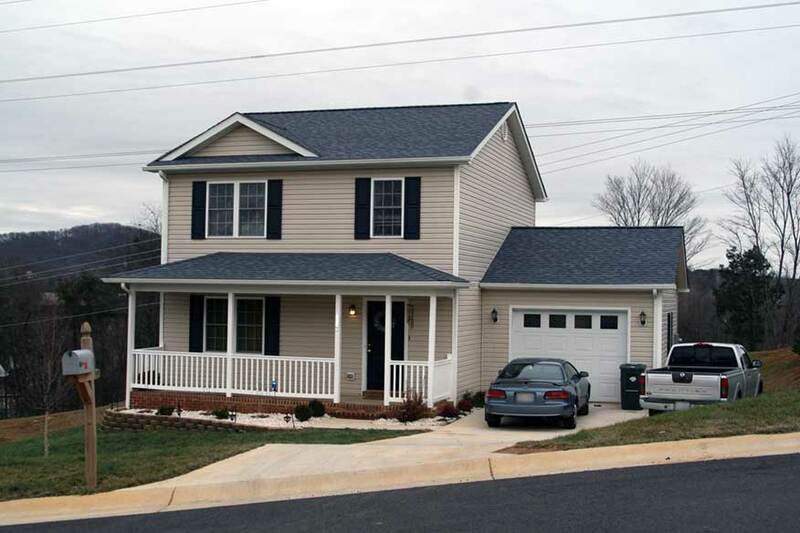 The Staunton has 3 bedroom 2 baths located on the second floor and the is a half bath on the first floor. You walk in from the garage into the laundry room and then into the kitchen. The Staunton is also design to have an optional +/- 720 basement if the lot requires it. Depending on the lot it can be a side walk out or rear walk out. The Swoope Home is a 1 1/2 story Cape Cod style home. Its +/- 1958 square feet 3 bedroom 2 1/2 bath that allows plenty of room to expand the family into. The first floor is +/- 1119 square feet and the Master suite is located on the first floor along with a half bath and laundry room. The second story is +/- 839 square feet and has 2 bedrooms and a bath. The second floor also has a large room that can be used as a play room or study. The basement in this model contains the garage and another +/- 477 of unfinished space.